Funeral services for W.T. Williams 86, of Reynolds will be held on Wednesday at 10:30 am, at Little Bethel Free Will Baptist Church of Ideal. Burial will follow in the church cemetery. 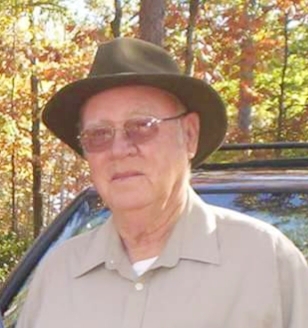 Mr. Williams passed away on Sunday September 23, 2018 at Taylor County Health and Rehabilitation. He was preceded in death by his parents, wife, Mary Emma Williams, and brother, Larry Williams. Survivors include his wife, Ruth (Lois) Williams of Reynolds; three sons, Larry Douglas Williams (Sally) of Valdosta, David Allen Williams (Sarah) of Byron, and Bobby Franklin Williams (Jennifer) of Reynolds; four step-sons, David Layfield (Lucy) of Oglethorpe, William Layfield (Jane) of Alpharetta, Mark Layfield (Tena) of Macon, Gregory Layfield (Paula) of Macon; seven Grandchildren, Crystal Kaye Wilfred (Bobby) of Pelham, Jeremy Allen Williams (Jenni) of Beaumont TX, Regina Elizabeth Boone (Conor) of Perry, Corey Douglas Williams (Lisa) of Charlottesville VA, Tate Lewis Williams, Landon Minor Williams and Jacob Tilden Williams of Reynolds; ten great-grandchildren; numerous step grandchildren and great grandchildren.